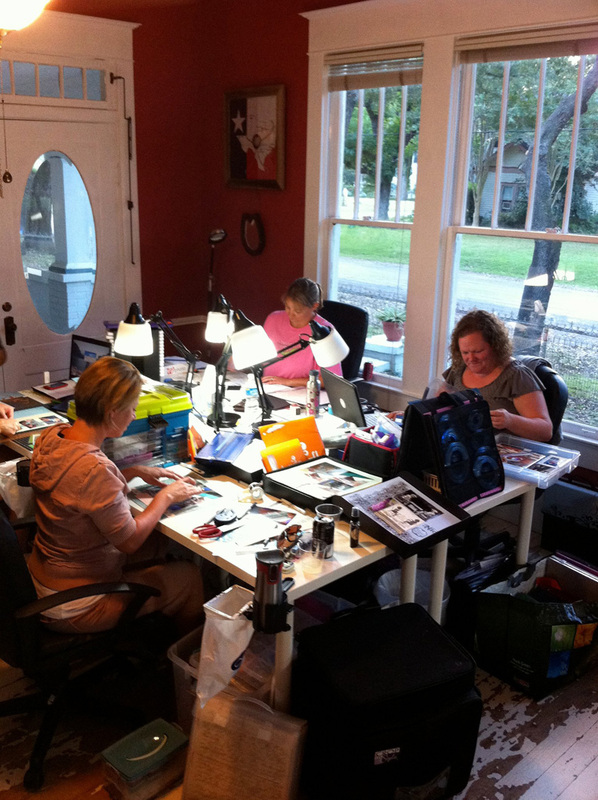 I organize a couple of scrapbooking retreats each year at a location called Premier Estates in Wallis, TX. 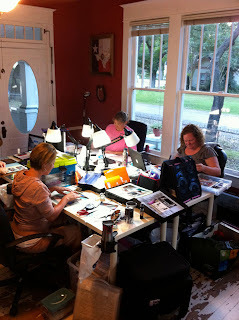 Nine other ladies joined me there a couple weekends ago and we had a fabulous time! Premier Estates is a beautifully restored house nestled on a property full of trees. 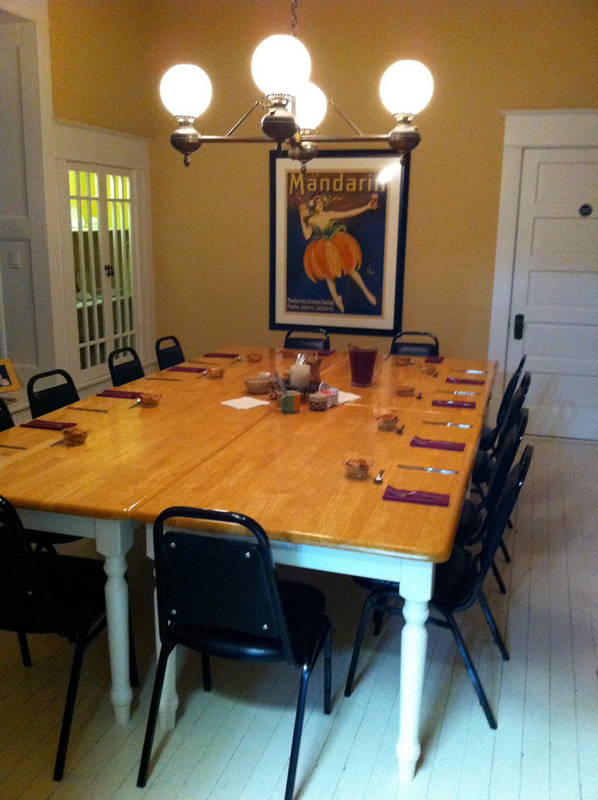 The best part is that the weekend includeds five delicious meals SERVED to us in the dining room. The gals that run the property ring the dinner bell and we make our way to the dining room where our food is waiting for us - on the table - already plated. No cooking or clean-up for the guests...it is HEAVEN! The highlight of our weekend was the Hayless Hayride! 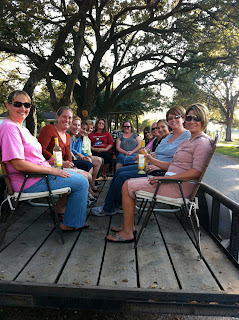 Our hosts, Sharon and Belinda, hooked up the tractor and hay trailer - minus the hay - and loaded it up with patio chairs. We all grabbed our wine and hopped on. 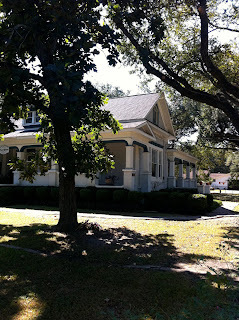 We rode around the metropolis of Wallis, TX and waved to all the neighbors. We had perfect weather while we were at Premier Estates, and even some beautiful sunsets. 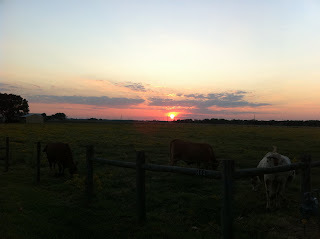 Many thanks to my dear friend Cindy, who took the pictures. Check out her handmade baby lovie and baby blanket business here: The Little Turtle. They are super-cute, super soft and cuddly!